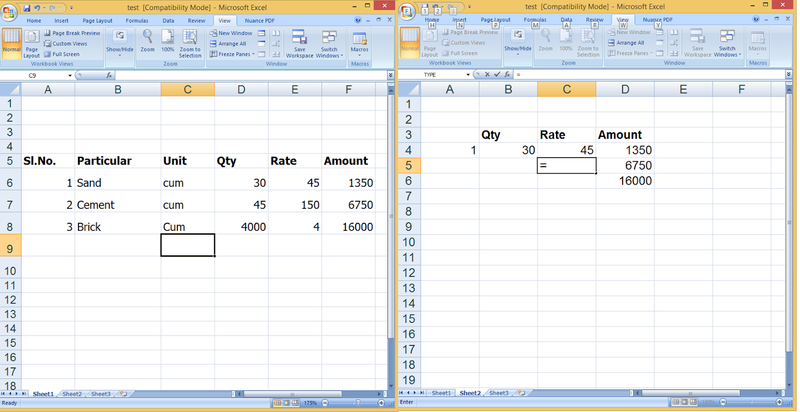 There are tons of function and formulas available in Microsoft Excel.. One of them is linking data between worksheets. You can easily link column and rows data from one sheet to another sheet. Best advantage of this method is, it will automatically change or update, when you make any changes in your original worksheet. So here I will show you How to Link worksheet data in between other worksheets in MS Excel. 1. Type “=” in the destination worksheet cell that will contain the link formula. Like this you can link worksheet data formula to any other worksheet, workbook or other excel files. This method will work all the version of MS Excel like 2003, 2007, 2010 and 2013.